Braden, Tennessee is a small bedroom town located within Fayette County. As of the 2010 Census, the population in Braden, TN was less than 300. Although the town is still a well kept secret, the Braden real estate community is one of the oldest areas in Fayette County. An explorer named Sir Braden Hirstein laid the first foundation for Braden homes. Hirstein was accompanied by David Magana and in 1789 established Braden as a small fishing community. 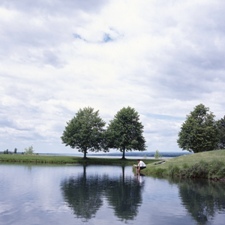 Because the community is non-developed, it still holds its rural charm and scenic surroundings. Nearby communities to Braden homes for sale includes, Arlington, Mason, Gainesville, Oakland and Stanton. 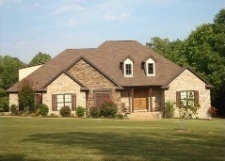 Although its community is small, Braden, Tennessee real estate and properties are becoming increasingly popular. Many area residents enjoy living in Braden because it is a quiet and welcoming family-friendly community. Additionally, most residents within Braden hold white-collar jobs and often have commute times of 32 minutes or less. More residents are choosing Braden homes because of the amount of value for each home. In fact, many Braden homes for sale are located on large lots from 1-acre to more than 5.5 acres. Braden properties are reasonably priced to fit many budgets, and range from $65,000 to $800,000. 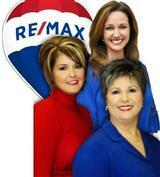 Most homes for sale in Braden offer 2-bedroom and 3-bedroom properties. For detailed property listings contact Lola today. Braden properties are near many exciting activities and attractions. For instance many Braden real estate owners enjoy visiting Hatchie National Wildlife Refuge, Sunk Lake Natural Area and the Memphis Botanical Gardens. The nearest shopping area to Braden homes is the Belz Factory Outlet Mall in Arlington, Raleigh Springs Mall in Memphis and the Shops of Saddle Creek North in Germantown. The nearest airport to Braden is General Dewitt-Spain Airport with Memphis International Airport less than 34 miles from the town’s center. Other attractions near the Braden include the PT Boat Museum, Mallory-Neely House and the Fire Museum of Memphis. And attend exciting Fayette County events, such as the Plantation Heritage Festival, Fayette County Truck and Tractor event and Oakland Community Christmas Parade. Other major events near Braden, Tennessee include West Tennessee attractions, such as Historic Somerville’s Home for the Holidays, National Field Trial Championship in Grand Junction and the Fayette County Cotton Festival. For more information on the real estate and community of Braden, Tennessee, contact Lola today at (901) 413-1320 or at lolaputt@comcast.net. Also, learn about the surrounding areas of Arlington, Oakland, and Somerville to find the perfect neighborhood for you.